CorporateInvest with the largest, multi-award investment bank in Malaysia with coverage across eight regional markets. Chart your growth with an investment that suits your appetite. Exchange interest rate obligations or receipts in different currencies for periods of up to 10 years. Hedge foreign exchange volatilities and risk with our Currency Options. Actively manage your interest rate exposure against adverse market moves and benefit from favourable market moves. Make interest payments on agreed interest payment dates. A new dimension of dynamic hedge to manage market risk and improve the bottom line of your company. A principal-protected investment with an embedded reference derivative. Principal-protected investment with embedded reference derivative. A gold and foreign currency linked structured product. Foreign exchange linked structured product. A principal protected investment with an embedded derivative. Our team of experienced Corporate Finance professionals provides uncompromised advice across a wide range of corporate finance products. We are determined to deliver exceptional advisory and transactional execution services for our clients. This includes corporate and debt restructurings, initial public offerings, secondary fund raisings, listing sponsorships and capital structure solutions. Our clients benefit from our strong understanding of corporate finance principles combined with our execution excellence. Corporate and Investment Banking Services (CIBS) provides you with advice on a wide range of corporate strategies covering corporate restructuring, initial public offerings, mergers and acquisitions, and the structuring and distribution of both equity and debt instruments. We also provide services in the advising and structuring of bilateral lending, project financing, loans syndication and infrastructure financing. Our dedicated relationship managers, with expertise across all industries, act as the key liaison personnel between you and the relevant business units in RHB Group, enabling them to come up with integrated solutions for you. The CIBS team is divided into four different segments, based on the types of clients that they cover. The CIBS Government Linked Corporations (GLC) team services Malaysian government entities and government-linked corporations. The CIBS Large Caps team covers the largest non-government corporations in Malaysia for their banking needs with RHB Group. The CIBS Mid Caps team covers the leading corporations in Malaysia in the middle market space in the country. The CIBS International team covers RHB Group's key corporate clients outside of Malaysia, with a focus on companies based in Singapore and Indonesia. In Debt Capital Markets, our team has extensive experience structuring and executing customized debt financing solutions. Our large-cap and mid-cap clients have benefited from our objective advice, market views and commitment to innovation. We offer services for the issuance of various forms of debt securities, including bonds commercial papers, medium term notes and asset-backed securities, for both conventional and Islamic finance facilities. RHB's Derivatives & Structured Products (DSP) Department develops and offers innovative financial products that incorporate derivatives and other advanced financial engineering techniques. These products include Structured Warrants (SW), Exchange-traded funds (ETFs) and Structured Investments linked to equities, currencies, commodities and so on. RHB Investment Bank has been a leading issuer and market-maker of SW in Malaysia since 2005. Our strong market coverage and research allows us to identify the right market opportunities for the issuance and offering of SW. Our product specialists have extensive expertise and market experience and we are also a participating dealer and market-maker of several ETFs listed on Bursa Malaysia. RHB also issues SW in Thailand through our subsidiary in the market. We commenced operations in 2013 and have been growing steadily since then. For the more sophisticated and high net-worth individuals, we offer innovative and custom-designed products in the form of Structured Investments. These products allow you to customise and execute alternative investment strategies offering access to different asset classes and markets, potential superior returns and interesting risk-return profiles that are not possible with conventional equities, bonds or futures. Discretionary Financing is a trading facility that allows clients to settle their outstanding purchase at any time up to T+7. With Discretionary Financing, clients have the flexibility in portfolio management where a stock can be sold at a later date to cover the cost of a stock purchase. Fees incurred on discretionary financing are lower than brokerage fees that need to be paid to rollover a purchase contract. Collateral is in the form of shares or cash deposits. Note: The figures above are for illustration purposes only. For the exact fees, please contact your dealer's representative or remisier. Settlement is by way of contra or cash. Settlement date is by T+7 and forced selling is on T+8. Please contact your dealer's representative or remisier for the latest rates. Our Equity Capital Markets (ECM) department provides advice and support in the origination, structuring, pricing, and underwriting of equity fund raising transactions such as initial public offerings, private placements and rights issues. ECM also manages syndication, marketing and distribution of equity offerings through a quality network of institutional, corporate, high net-worth and retail clients. The department also assists you with price stabilisation activities for IPOs and manages investor relations, both prior to and after an equity fund raising transaction. In Financial Advisory, our team has advised on landmark Mergers & Acquisitions (M&A) transactions across industries in Malaysia. We will guide you through the entire M&A process as we engage potential acquirers or targets, undertake valuation of businesses, advise on negotiation strategies, terms and structures as well as provide fairness opinions. We are also able to complement our M&A services with our Specialty Finance services which offer leverage financing, bridging loans and guarantees in support of M&A and capital market activities. We offer full-fledged execution and clearing services for all Bursa Malaysia Derivatives (BMD); Singapore Exchange Limited (SGX-DT); Thailand Futures Exchange (TFEX) & Hong Kong Exchanges and Clearing Limited (HKEx) products, serving retail, institutional and corporate clients across the region. As a part of our services we also offer comprehensive futures research reports. Our Foreign Market Trading Desk assists you during global trading hours, offering you with crucial convenience for futures trading during the night. RHB's Institutional Equities (IE) department provides high-quality equities investment advice and execution services to fund managers globally who are interested in investing in equities markets across the region. We have highly qualified institutional sales teams that complement our strong Research franchise to provide investment advice to our institutional clients. We also have dedicated operations teams who provide efficient support services for our clients. With the merger of OSK Investment Bank into RHB Investment Bank, our regional network has expanded into most major ASEAN markets as well as Hong Kong and Shanghai. Our institutional sales teams can now provide and further facilitate cross border trading services into these markets. RHB has a network of international broking partners that provide a global footprint in the equities markets. Our partners include Auerbach Grayson in the USA, Espirito Santo Investment Bank in Europe and India, Sinopac Securities in Taiwan and Okasan Securities in Japan. Grow your money with our products. EARLY REDEMPTION No interest shall be given for any deposit which principal is early or prematurely redeemed by the depositor. MASTER ACCOUNT OPENING FORM Depositors who are placing MMTD deposits for the first time are required to complete and sign the Master Account Opening Form. Our leading online trading platform with cutting-edge tools allows you to monitor, execute and manage trades in real time. It also allows flexibility and efficient connections to platforms of your choice such as CQG, PAT System J-Trader and N2N. We also offer Direct Market Access (DMA) for our Institutional clients via CME Globex. Choose to trade through 3 platforms from your desktop computers, tablets or mobile devices at no additional costs. We also offer other financing options including ESOS (Employee Share Option Scheme) Financing and Initial Public Offering (IPO) Financing. This is a specific financing ability that is offered to eligible individuals who are offered shares by their employers via ESOS. Using this facility, eligible clients can subscribe for the shares allocated to them via their respective Employee Share Option Schemes. This is a financing facility designed to help eligible clients subscribe for new share listings on Bursa Malaysia. Eligibility Institutional and selected investors (including MITI Allocation) for Public Issue Shares allocated by way of Placement under Institutional Offering. 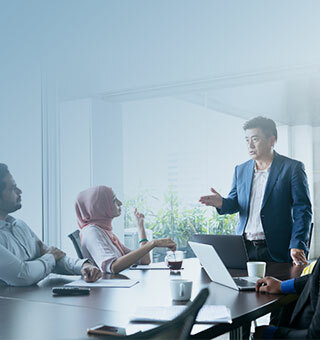 The RHB Banking Group helps you make informed decisions with the advantage of our comprehensive Economic, Equity and Fixed Income & Currencies research coverage by award-winning economists and analysts in key Asian markets. Research coverage of more than 500 listed companies in Malaysia, Singapore, Thailand, Indonesia and Hong Kong/China. You can use Share Margin Financing as additional funding for the purchase of shares quoted or to be quoted on Bursa Malaysia. Collateral is in the form of quoted shares and/or cash deposits. Classic – For traders who have at least 3 different counters acceptable to the bank. Strategy – For traders who prefer to trade single counters or related counters acceptable to the bank. Strategic – Counter evaluation to be carried out on Share Liquidity and its Financials – P&L, Balance Sheet, Cash Flow, Liquidity etc. Whether it's Dow Jones, Wall Street, NYSE, or the share market in Malaysia, RHB brings the world of share trading to you. With an extensive network of branches located at strategic locations in Malaysia and across the region, RHB is ready to meet your share trading needs, and help you maximise and grow your investments. As RHB's client, you have the convenience of trading through 3 platforms from desktop computers, tablets or mobiles. All at no additional cost to you. Click here to find out more about online trading link. Beyond Bursa Malaysia, RHB offers top global trading exchanges for your share trading needs. Access to stock quotes, charts, research reports and latest financial news from our online portal or your dealer representative. As Malaysia's largest investment bank, RHB maintains a crucial presence stretched across the Asian region. At home, the bank serves the needs of investors throughout the country with an extensive network of 92 branches and share trading centres at strategic locations. Learn more about share trading and how to become a better trader through RHB's multifaceted events conducted by experts throughout the nation that are exclusively organised for RHB clients like you. Click here to find out about events near you link. Whether it is technical or fundamental, our award winning research team and analysts cover local and foreign market reports to support your share trading needs. Coupled with a powerful online research portal, RHB clients will receive the daily trading ideas before morning trading starts. Specialty Financing delivers customised financing solutions which are uniquely designed to meet your funding requirements. Specialty Financing offers offer leverage financing, bridging loans and guarantees in support of M&A and capital market activities.